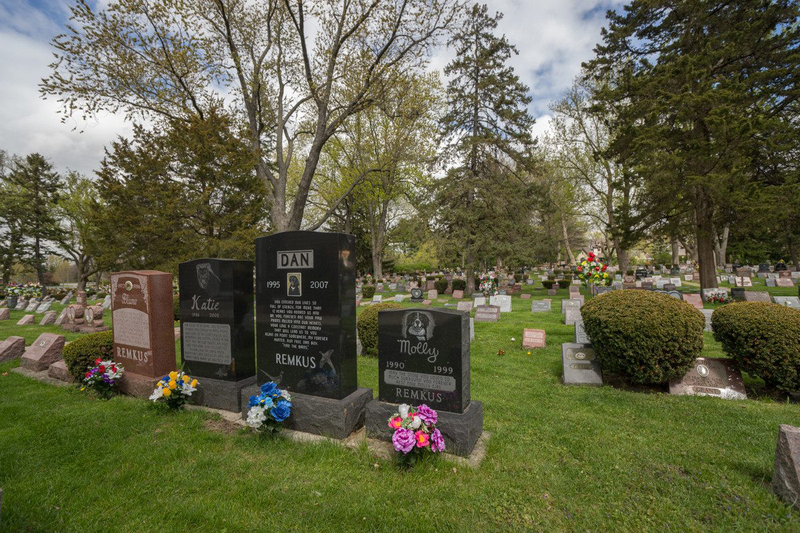 Established in 1926, Hinsdale Pet Cemetery and Pet Crematory is the final resting place for thousands of beloved pets. From horses to K-9’s, service dogs and war dogs — all animals are welcome. The beauty of our gardens makes every pet owner feel a sense of peace and love. Know matter how elaborate or simply you decide to lay your beloved pet to rest, we are here to honor your wishes and help in your choices. Whether you choose burial in our pet cemetery or pet cremation, the love you have for your animal will be honored with dignity. As pet owners ourselves, we understand the special bond that exists between humans and our companion animals. We know firsthand how difficult losing a pet can be and how overwhelming it is making decisions at the time of pet loss. In fact, many of our family pets are buried here so we can always remember. 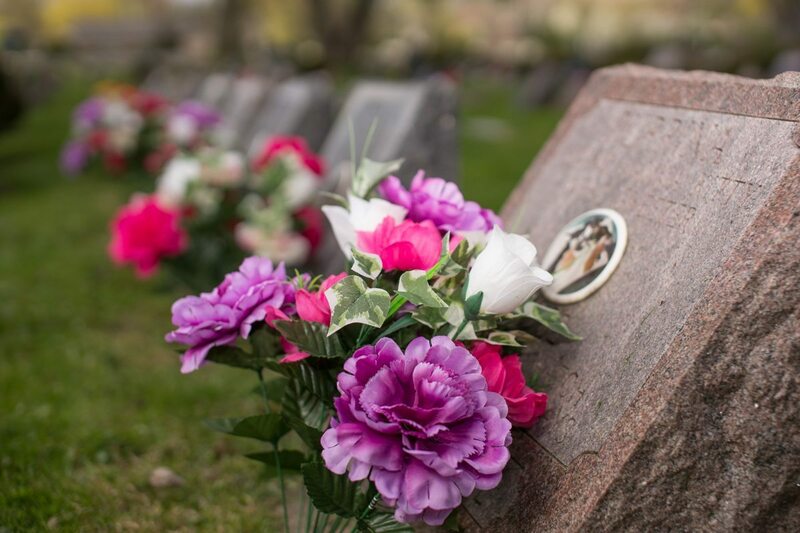 We offer decorations on pet graves that are placed for the different seasons. You may visit whenever you like. Our beautiful, historic Pet Cemetery is open during daylight hours all year-round. With that in mind, we have created our web site to help explain the services that we offer. No question should go unanswered and we are here to help you through your challenging time. 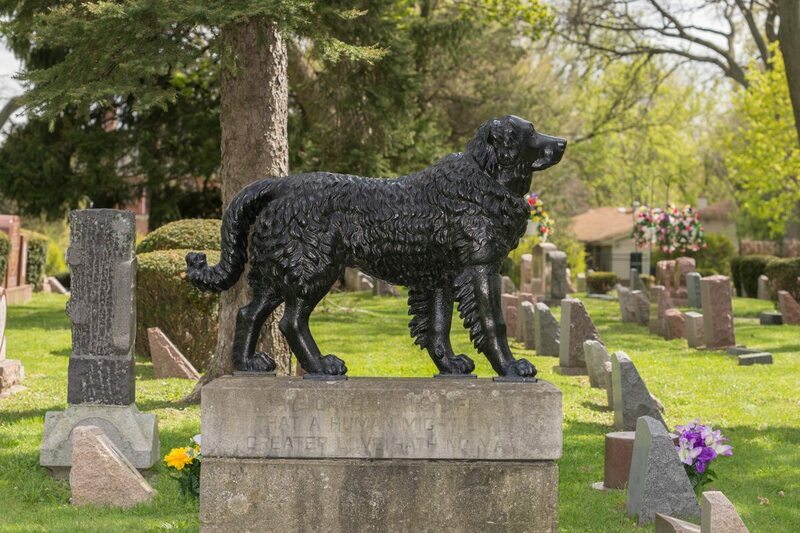 Hinsdale Pet Cemetery itself might better be called “The Best in the Midwest”. Just wanted to say thank you for helping me to cope easier by showing such compassion. I was devastated to lose my best friend, but once we buried her in such a beautiful place I feel much more at ease. She is in a beautiful home and for that I give great thanks!